The time has come in my survey of this year’s lineup for Best Picture at the Oscars for me to turn my attention to the movie that has been judged the front-runner. I’m tempted to pass over it, because its favored status has had the effect of dividing critics into Those Who Love It and Those Who Disliked It Before But Who Really Hate It Now Because the Academy Will Probably Bestow Upon It an Honor It Doesn’t Deserve. If you’ve read my Oscar-season blog posts before, then you know that I don’t think the Oscars have much, if any, credibility on the matter of great art. Commerce corrupts the whole affair so much that it is reduced to a popularity contest. Sure, it’s a contest that can, sometimes, bring some attention to a few worthwhile productions. I like the Oscars primarily for how they remind us that cinema is collaborative, bringing the efforts of countless artists together, and for how this showbiz circus fills an evening with speeches made out of gratitude — but that’s about as far as my affection goes. I say that as preface to this: my overdue review of The Revenant. My impressions have nothing to do with its Oscar chances. This is just the inevitable working out, in writing, of the frustrations I have felt about the film since I first saw it — long before it emerged as the Oscar favorite. The film leads us through phenomenal landscapes and weather, and depicts struggles with animals, elements, and sprawling battlefield violence that are as convincing as any ever filmed. I admire its technical achievement. And I admire its focus on showing rather than telling. Several of those same friends and colleagues treat this as a film to be appreciated for the art of its aesthetic achievement rather than the art of its storytelling. And I wish I could agree — it would be easier, and I wouldn’t feel conflicted about parting ways with moviegoers I respect. I get it: Cinema is not to be critiqued the way we critique novels. Cinema is more than just a way to illustrate a story. I actually agree with those who say that, when it comes to cinema, imagery is more important than story — just as I agree that sound and melody are more important to song than lyrics. Motion pictures: Just as you can take away lyrics and still have a piece of music, you can take away narrative and still have a movie. Some of my favorite films — from Vertov’s Man with a Movie Camera to Tarkovsky’s Zerkalo to Wenders’s Wings of Desire to Kieslowski’s Three Colors: Blue to Malick’s The Tree of Life — are more interested in visual poetry than sequences of events. And The Revenant has the craftsmen and visionaries it needs to become one of those great work of imagery, of performance, of poetic association. But that’s not the movie we have. The movie we have insists upon its narrative as central, and the script by Iñárritu and horror filmmaker Mark L. Smith (Vacancy) paces his production to deliver episodic action. If The Revenant‘s narrative had been as substantial and intriguing as the visual spectacle, it might have become one of the most enthralling big-screen stories I’ve ever seen. Epic stories of distinction, nuanced character development, suspense, and insight have unfolded in just such a historical context as this one. But for all of the glory of the context, for all of the extravagant efforts of the cast, this narrative strikes me as juvenile, unimaginative, eager to seem profound, but constantly failing to cultivate any interesting ideas. In case you haven’t yet heard the premise, here goes: In the early 1800s, a company of trappers endure rough conditions in a desperate flight from Native Americans through a region that will, in time, become the Dakotas. Trapper Hugh Glass (Leonardo DiCaprio, seemingly ready to die for an Oscar) and his native son Hawk (Forrest Goodluck, playing someone in a forest without any good luck) are persecuted by one of their fellow travelers, a base and fuming fellow called Fitzgerald (Tom Hardy at his hardiest). We suspect that, as soon as he gets his chance, Fitzgerald will do something horrible. His chance comes all too conveniently when Glass, out of the blue, gets shredded to within a half-inch of his life by a wild animal. (You’ve probably heard about that scene. Believe what you’ve heard. It will give you nightmares.) The attack gives Fitzgerald his opportunity to be really evil. And the course of the film’s next two hours are basically determined: Glass must survive in order to catch up with Fitzgerald and kill him. Along the way, he will endure unbelievable bodily harm. He will have run-ins with Native Americans. He will have close calls with reprehensible white men. And he will have visions of a supernatural nature. And when his climactic showdown arrives, has the narrative gained layers of meaning and significance? I don’t think so. The villain insults the masculinity of Glass’s son, and the final round of growling and grappling and bloodletting ensues. The whole film feels like a reel of NFL egos, injuries, brawls, and trash-talking. It’s a movie of constant unnecessary roughness. For this viewer, every event in the story — from battles with wild animals, to battles with native defenders of the homeland, to elaborate feats of wilderness survival — seemed staged more to give Iñárritu a chance to show off technical virtuosity, to beat his own chest the way these characters beat their own, rather than to enrich the story or develop any kind of suggestive qualities. Many have lauded the film’s immersive aesthetic — how it brings us spectacularly close to the action, and gives us a palpable sense of the elements. There is blood splatter on the camera lens! The bear even breathes on the camera, fogging it! It’s true. These things happen. They happen so brashly and frequently that they constantly draw my attention the camera itself, and to the question “How did they do that?” They keep me thinking about the director himself. And when they do, they diminish my suspension of disbelief. Thus, The Revenant is not immersive, although it uses tools that can be effective in immersing me. It’s so intent upon immersing us that its sheer force in doing so is what dominates the experience. It’s immersive-ish. Perhaps you will find yourself reminded of great directors with distinct styles: Terrence Malick, for example — an artist who cultivated a personal and distinct aesthetic while collaborating with a variety of cinematographers, especially Emmanuel Lubezki. And you’d be right in seeing a resemblance, for, in fact, this is Emmanuel Lubezki, filming what often appears to be a continuation of his unbounded, sweeping cinematography for The New World. Yet, this time around, Lubezki’s camera is not intent on characters and their interior lives, or even on characters at all. These characters don’t change over time: they are constant, pressing on with their one defining characteristics. The hero exists to be wronged, injured, broken, and struggling to overcome it all so he can settle the score. The villain exists to do him wrong. The hero’s son exists to suffer weakly so that the movie can kindle our desire for violent justice. And I wished, for 156 frustrating minutes, that I could leave this predictable and inevitable clash of brutes — with their playground-bully insults, their fighting and more fighting, and the eventual killings and horrors and striving for revenge — and just wander through the glorious environments in which it was all taking place. 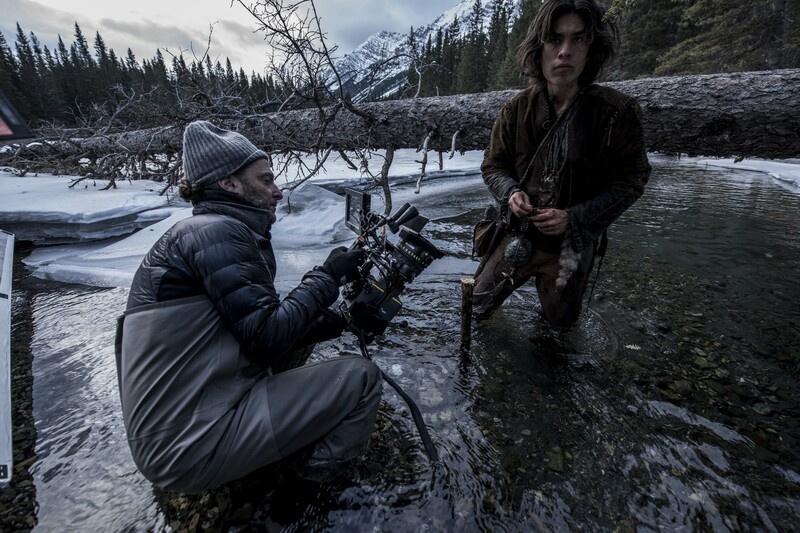 Lubezki’s wide-eyed cameras seem to want to drift away too. In Malick’s movies, the camera can do that, can drift off and, thanks to Malick’s editing genius, find threads of poetic significance within anything they approach. Juxtapositions of images suggest that this is a way of talking about that. Creation “pours forth speech.” But here the tyranny of this story for boys who think masculinity is about physical endurance and muscle and weapons keeps pulling Lubezki back to what Innaritu finds important: the violence of men and the violence of nature. Similarly, devotees of Andrey Tarkovsky will sense a certain familiarity in a variety of sequences. More than one film critic referenced Tarkovsky in describing the film’s look. Then this video came along to silence any doubters. Imitation is the sincerest form of flattery. But again, here is imitation that seems to seek greatness by association. It’s an “I can do that too” spirit without demonstrating an understanding of how these shots make meaning. These Tarkovsky images are from different films in which the camera’s life suited the story it told — and one of them (Zerkalo) represents a surreal soup of memory and dreams. So, The Revenant … it has the appearance of great films, but it does not demonstrate an understanding of what made those films substantive. It’s not as rich as Malick, but it is, well, Malick-ish. It isn’t the equivalent of Tarkovsky, but it is Tarkovsky-ish. What the movie lacks that these masters offer is a narrative worthy of the aesthetic. The Revenant does not investigate anything beyond its simple survival-for-the-sake-of-revenge narrative substantially enough to arrive at a conclusion that resonates. Not for this viewer, anyway. Some have argued that it nobly attributes to Native American tribes the dignity and humanity they deserve. And they do have moments of basic nobility. But the fact is that they remain marginal to the narrative — a pursuing force, bloodthirsty as orcs, or a parade of regal and wounded dignity. None of them become characters. And their sufferings and deaths are paced so as to provide new fuel for the central white hero’s vengeful resolve. So the film is not really committed to its gestures of respect. It’s not compassionate — it’s compassion-ish. Some have stepped up to argue that the film has a profound spiritual vision. Look at how Glass’s wife appears as a spirit to minister to him! (Yes, she levitates, like Jessica Chastain in The Tree of Life, or like a certain spectral figure in Tarkovsky’s Zerkalo.) Look at that ruined chapel with its painting of a crucified Christ! Sure, these scenes exist. They suggest that the film wants us to accept that this is a world in which sacred mysteries are at work. But these are fleeting glimpses of mystery, images that the film quickly leaves behind in order to zoom in on spectacularly choreographed battles and struggles. It feels like the filmmakers have seen movies that tap into a sense of mystical Christianity, but aren’t sure how to do it themselves. For me, this is a central question to pose to any movie to understand what it really is: What does this movie love? That is to say, where does it focus its energy? The Revenant always comes back to its central character’s physical fight with enemies and the elements. That is what it is most interested in. For all of its feints in the direction of conscience and spiritual inquiry, almost every sequence is primarily about staging visceral violence to the point that it becomes exhausting. It’s not conscientious. It’s conscientious-ish. I wish I could write a different review. I wish I could take seriously the film’s few moments in which characters show mercy, or in which a sense of divine intervention is at work. But those moments feel like token gestures. 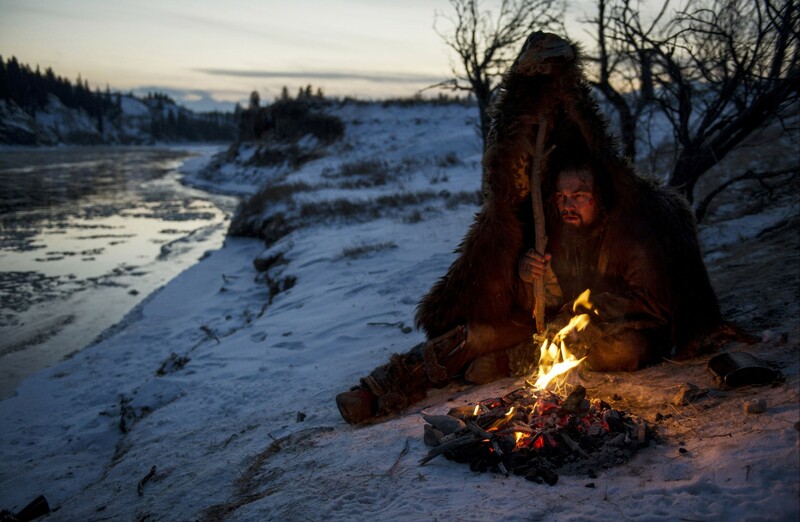 While The Revenant has the scope and ambition of Apocalypse Now, it has none of the poetry. And, as Michael Caine once said to me, “If you’re sitting there thinking to yourself ‘Michael Caine is giving a great performance’ then I have failed.” I never stopped thinking about the actors, the cinematographer, or the director. In their constantly showy maneuvers — and that includes Leonardo DiCaprio, who strives so fiercely during his every moment onscreen — they kept spoiling my desire to suspend my disbelief and get caught up in the film itself. No. It’s right up Oscar’s alley. Oscar loves audacity. It loves the great directorial innovations of the past when they are finally applied to something that makes enough compromises to become crowdpleasing and popular. 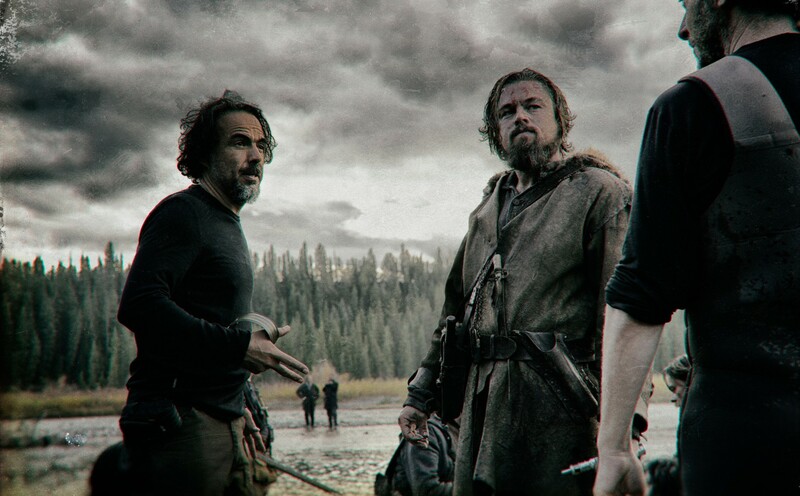 As far as that goes, The Revenant is an Oscar movie all the way. This is exactly what the Academy loves to reward: imitations of greatness, celebrated by audiences who are finally accepting as mainstream what was visionary a decade ago. Just as Ridley Scott’s Gladiator made much of a stolen Terrence Malick-ism (a man walking through a field with his hand outstretched to the long grasses) and applied it to an elementary revenge epic, giving it that air of masculine spirituality, and won the Oscar that Malick has never won, so Iñárritu’s Revenant will, most likely, do the same. The night I saw it there was quite a bit to talk about with friends over a beer: symbolism (even if overdone), the way in which human memory and intention structures a narrative even in the most survivalistic of tales, the cinematography, and so on. But when I woke up in the morning the movie felt ‘thin’ — like butter scraped over too much bread. Stuff like this helps me.. a little. 🙂 There are some interesting insights though..
PS: Wish more had your knowledge of how to evaluate film in this way. Agree with RLHW above. I will give this one a pass, and see the Tarkovsky on you alluded to, instead. Thanks. Put off seeing this film for quite a bit. Not sure why; perhaps because it sounded like just unrelenting suffering, which it is. Finally watched and enjoyed more than I thought I would. But the observation that the story is, well, not much, is accurate. The star of the show may be the landscape itself, a beautiful realization of what we imagine the wilderness of the era to have been. That landscape is gone forever, but the cruelty of men abides. Best actor, director, cinematography, but not best picture. Perhaps the academy got it right.